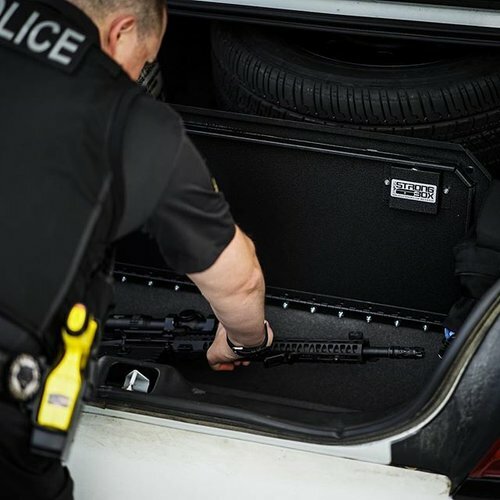 Innovative design and extensive field testing makes BOSS StrongBox the most rugged and secure vehicle weapon storage locker on the market. Our products are designed and made in America and we stand by the quality of our products with our lifetime guarantee. BOSS StrongBox is made with doubled locked Medeco High Security Locks. Lock cams are shielded to prevent damage to the contents and to prevent tampering. 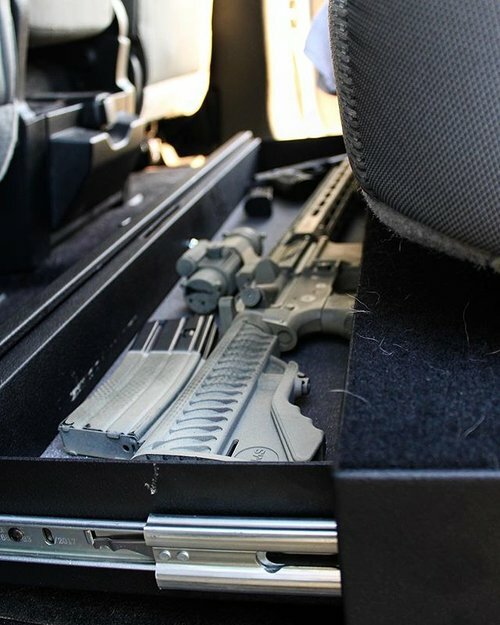 Each weapon storage locker is constructed of cold rolled steel and powder coated in wrinkled black. 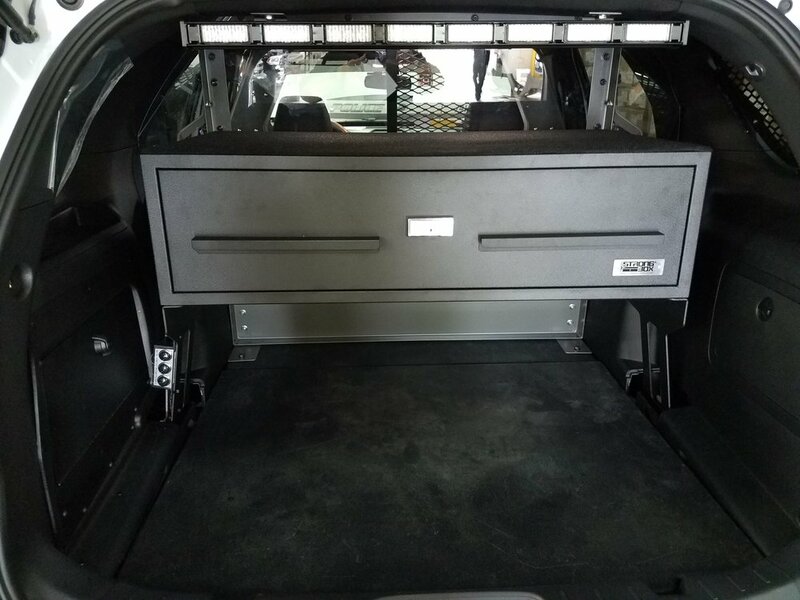 We also line the bottoms of each cabinet with foam to cushion your valuables. Recessed drawer door in surround front design to eliminate pry points. Welded and multi-return flanged drawer and surround front for extra strength. All of our boxes are designed and manufactured in America. We have a number of facilities in Southern California that help deign and build all our products. We stand by the quality of our products and are very proud to keep the process here in America and local to our main office. All our boxes carry a 100% satisfaction guarantee against defects in original materials and workmanship. If your BOSS StrongBox products show evidence of such defects, BOSS StrongBox will make every accommodation to fix, repair, or replace your product in the most expeditious manner possible.